Eats & Beats 2019 is fast approaching! Mark your calendar for Saturday, July 20 from 1 to 8 pm for the biggest beach party of the summer! 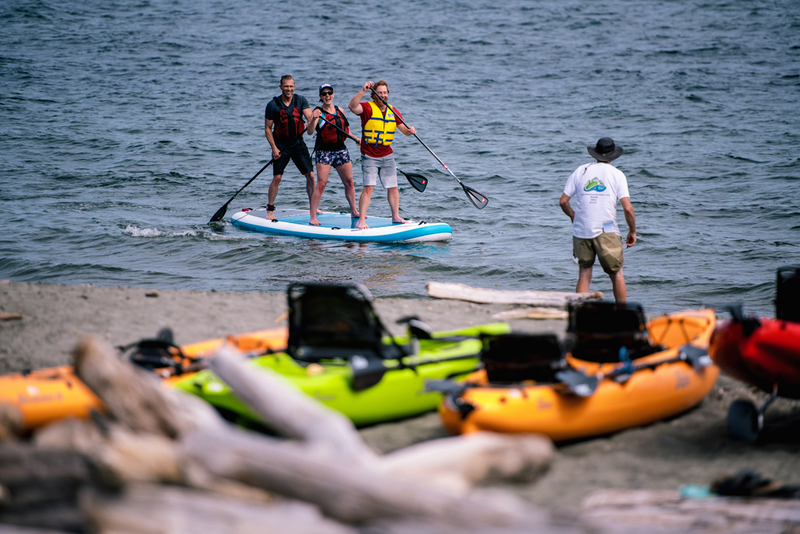 On Saturday, July 7, 2018 the City of Colwood welcomed an estimated 8000 people to the waterfront for a food truck festival, craft beverages, a street market, a climbing wall, paddling, cycling and more! 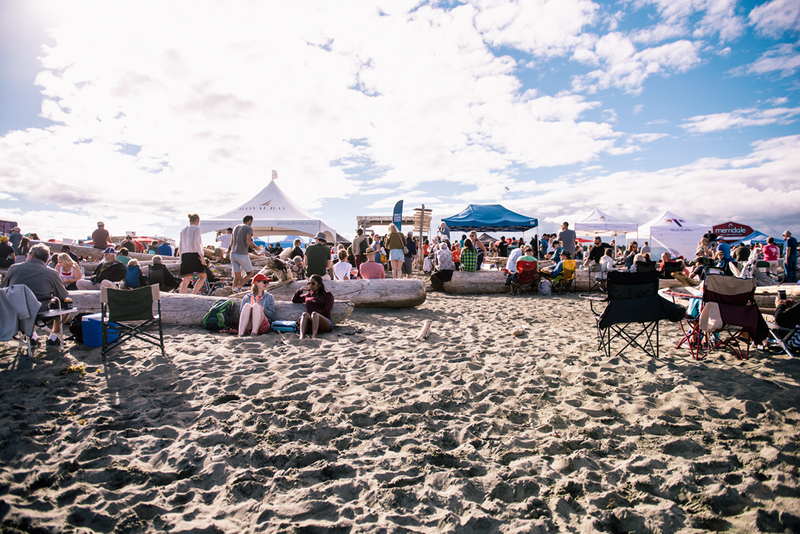 Thanks for celebrating summer with us on the street, sand, and sea along Ocean Boulevard at Esquimalt Lagoon. 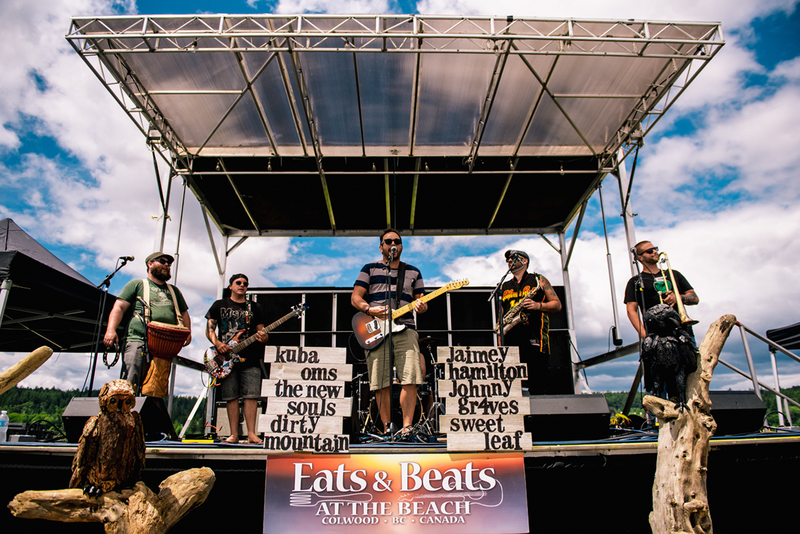 There we hot eats from more than a dozen food trucks as well as local craft beverages served beachside, as people grooved through the afternoon and into the evening with local bands like Kuba Oms, The New Souls, Dirty Mountain, Johnny Gr4ves, Jaimey Hamilton and SweetLeaf. Eats & Beats got people moving too! They strolled along the beach street market featuring unique West Coast gifts, crafts, treasures, and treats. 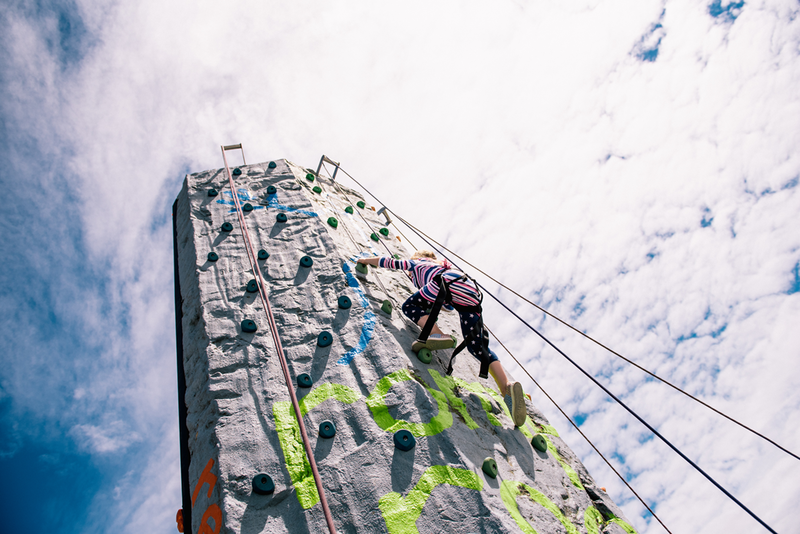 People flexed their muscles on the Eats & Beats climbing wall, and tried out kayaks or stand up paddle boards from West Coast Outdoor Adventure. 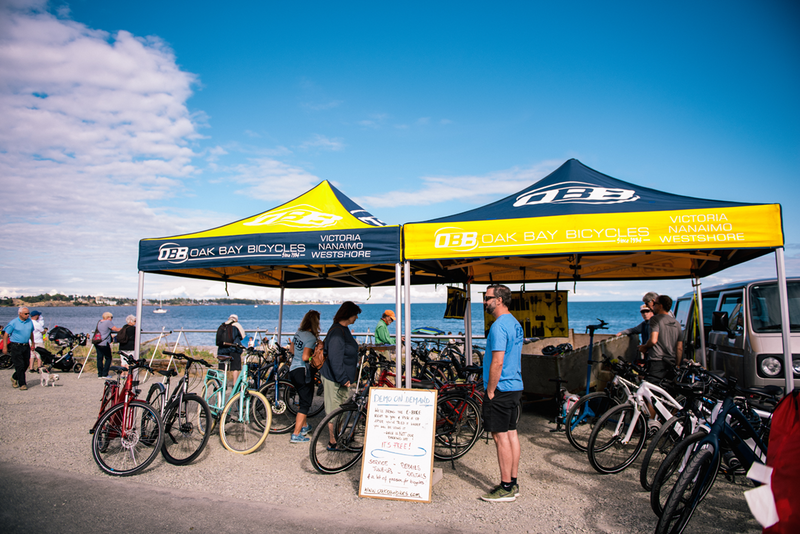 There were even e-bikes from Oak Bay Bikes for people to try, making the trip up from the beach as easy as the cruise down. 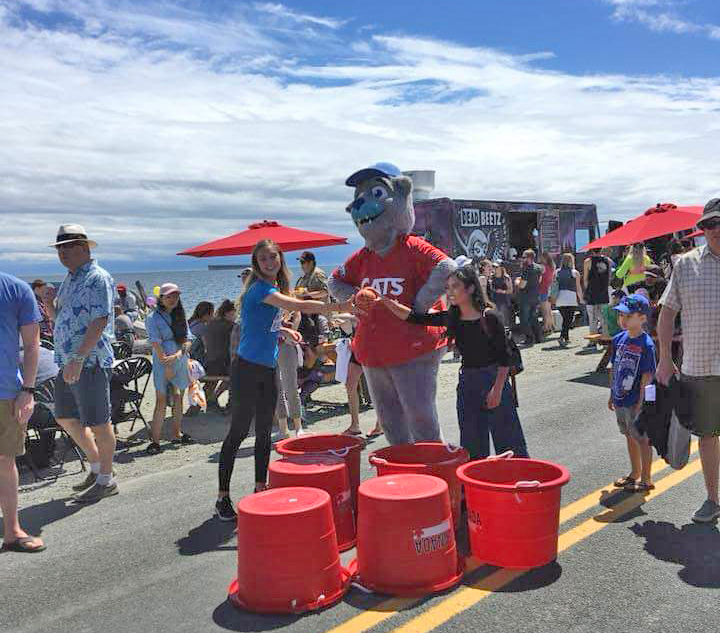 Friends got into big beach games like oversized beach pong and everyone's favourite mascots joined the fun — furry friends like Harvey the Harbourcat, Rocky from the Shamrocks and Marty the Marmot. Attendance at Eats & Beats grew exponentially this year! 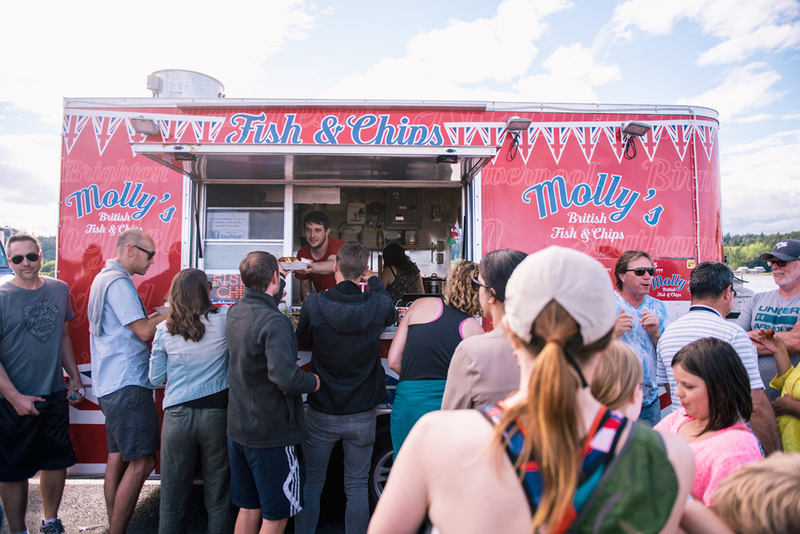 There was great demand for the Eats & Beats shuttle which ran from the Colwood Park & Ride down to the beach. Next year organizers will plan for more shuttles and more creative options for getting to Eats & Beats. We are so glad you could join us. After all, the people make the party! Get all the details at www.colwood.ca/eatsnbeats and on the Eats & Beats facebook event page.